Super stretch shock cords made with the finest natural rubber filament cores. Our shock cords have a minimum of 100% stretch for greater durability. 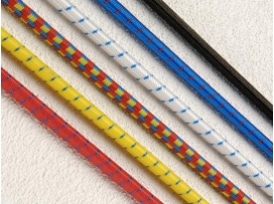 Braided covers are white nylon or high tenacity polypropylene colours.